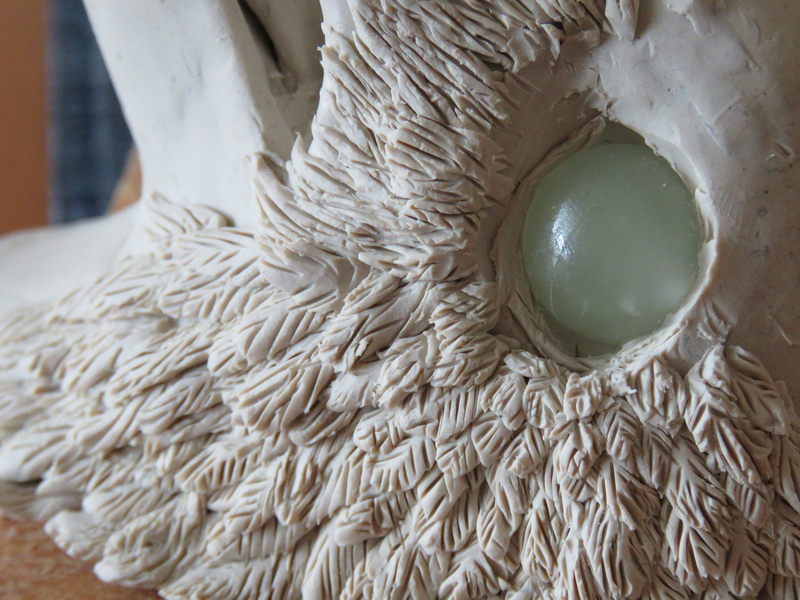 I began this piece about a year ago – when I picked up a block of oil-based modelling clay. 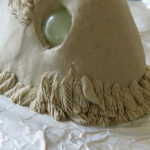 I had no intention of actually sculpting – I bought it because I planned on making some simple moulds and thought I might need it. I’d seen it used in YouTube videos. 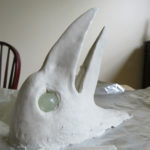 Instead, I began to sculpt and of course I decided to make a raven head. No need to start simply! 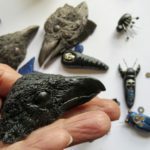 This is my 3rd sculpture I’m calling Big Head Raven though at various points it has been called Baldy, and Old Raven depending on the stage. 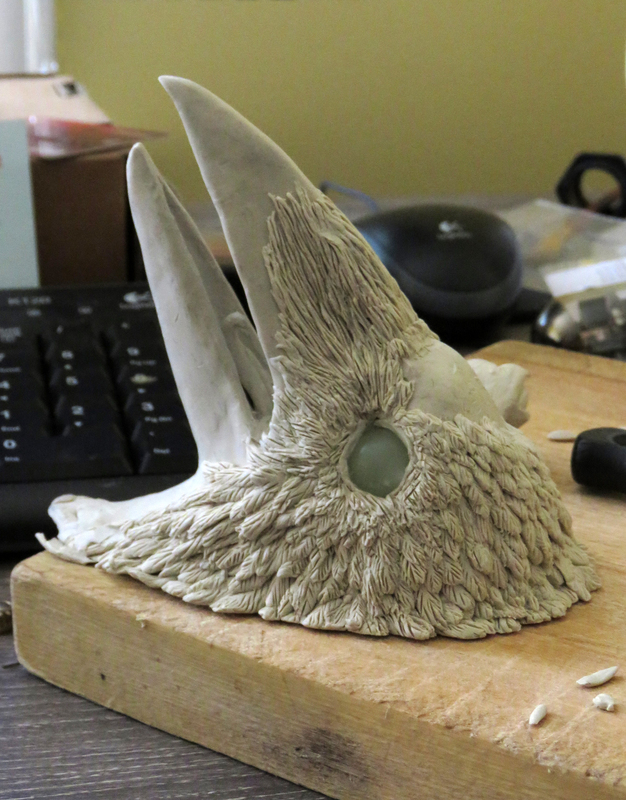 Considering that I’ve not sculpted since High School, I’m pleased, though I wonder if I’m a bit mad to make something so big so fast. Nothing like a challenge! Here’s a few of the photos I took along the way. I’ve pretty much finished it but I don’t know where to go from here. 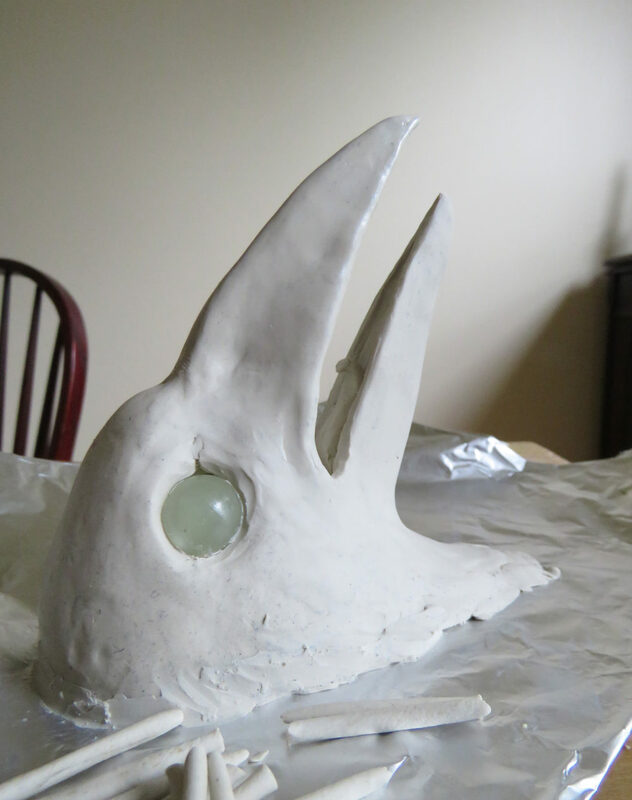 Originally I was hoping to cast the head which IMHO would just be lovely. 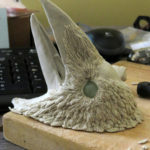 Unfortunately, it is a bit beyond my current mould-making and casting abilities. 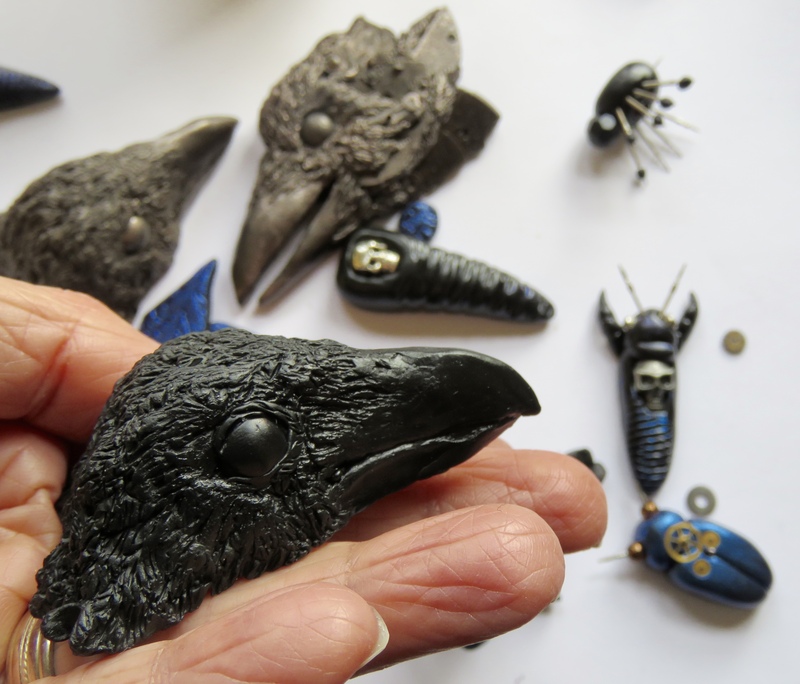 I will though, eventually, make a mould of this lovely raven. 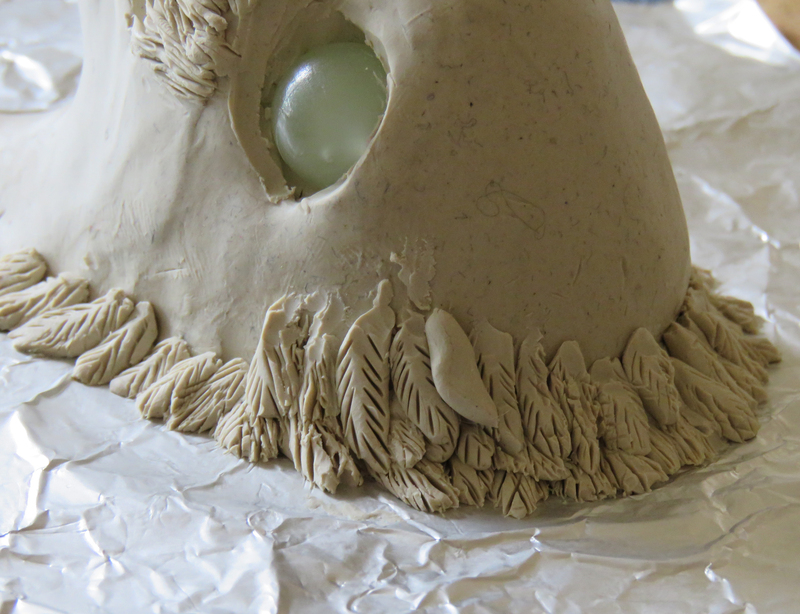 I framed out the sculpture one morning in a few hours. 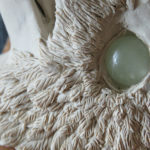 following the pattern of feathers around the eye. Baldy gets some feather work done. I eventually had to move her onto a different base because I needed my cutting board back!